Two more down. And, that’s Oscar noms – not Somali pirates or long-lost offspring… Which, is unfortunately exactly the case in the two most recent views on my to-see list. The remainder of the film is the set inside the lifeboat, as the captain bargains for his life against the rising stress of the pirates. It’s never a good idea to make sudden movements when an angry, freaked out pirate has a loaded gun in his hand. If you haven’t seen it, it’s totally worth it. Plus, it’s On Demand right now, so you don’t even have to leave the living room. 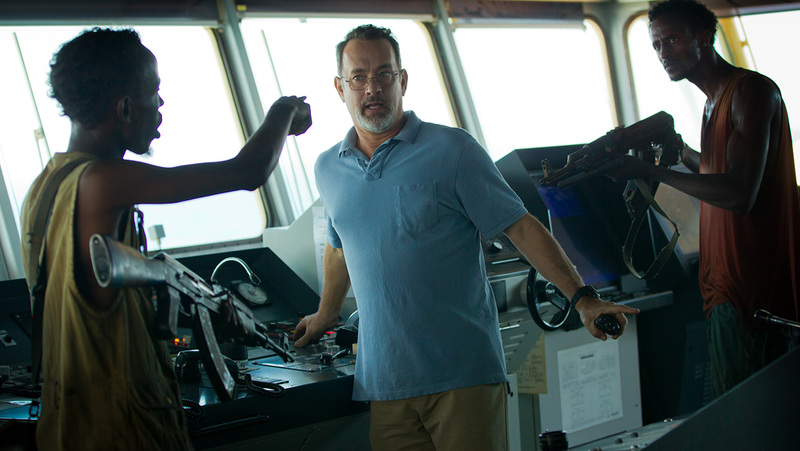 I gotta warn you, though, Hanks is like an acting ninja in the way he holds it together. To think, I thought it was going to be slow, and then when it ends I am heaving sobs of relief (is that a spoiler? surely everyone has read the news). Hanks deserves a nod for this role, so I am shocked he didn’t get it. I am even more shocked that the Academy got sucked into the hyper of Barkhad Abdi and gave him the nom for Supporting Actor. Let’s get this straight. He did a fine job for a first-timer. But, I am pretty sure that whichever Somali you put in that character would have done the same. I’m sure that’s going to light a fire under someone, but I’ve thought it over and over and it’s my standing opinion. There is no way he outshines Hanks (who, in my opinion, carries the film). None of his lines, or deliveries were especially memorable. It could have been any of them. It frustrates me. Gah. 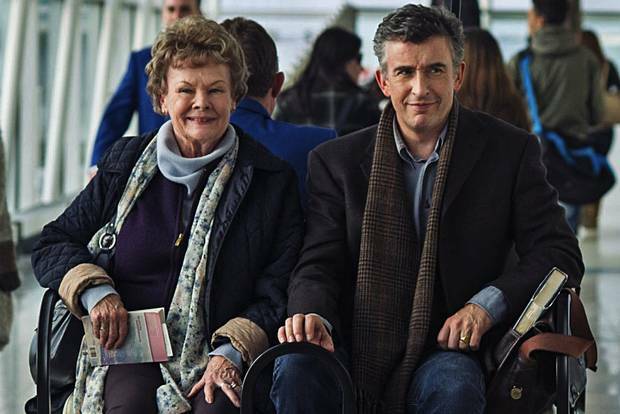 What doesn’t frustrate me are the nominations given to Philomena’s superb group of talent. Dench plays someone you want as your grandmother (witty and sharp under a frank veil of innocence). The story is heart-warming, but sad and realistic at the same time. It’s one of those feel-good-because-this-is-as-good-as-it-gets stories that restores faith in humanity and in film, and renews your sense of leaving a theatre without a mental workout. All that said, I don’t think it will win any of the categories it’s accoladed for… It deserves the nods, but it’s just a meaty group this season. That doesn’t mean you shouldn’t see it. In the midst of stories about people sick in the mind, body and soul, why not treat your morale with a little loved-ones-lost-but-self-found movie?